Berkeley South Asian Radical History Walking Tour revives the Indian American activism, struggle for rights over a two-mile walk in central Berkeley, California. Indian Americans have had a long history of struggle for their rights. They are among the wealthiest in the country, yet had to bear the stereotypes of mostly being a docile, non-political community. The Indian American couple from Berkeley, California, Anirvan Chatterjee and his wife, Barnali Ghosh, decided to change that mindset by showcasing the South Asian-side of activism and political struggle, in the US. “The Berkeley South Asian Radical History Walking Tour is a way to share these histories with a wider audience – to inform, ground, and inspire new activism, in the tradition of movement historians like Zinn and Takaki,” describes the tour’s website. The two-mile walk that is organized during Sundays at the central Berkeley revives several instances including that of the Punjabi (from Punjab, India) freedom fighter Katar Singh Saraba (1912), student-protests against India’s former Prime Minister Indira Gandhi (1976) during ‘The Emergency’, creation of South Asian LGBT magazine (1980), and xenophobia following the 9/11 attacks (2000) among others. Though, Chatterjee, 39, is an IT entrepreneur and Ghosh, 42, studied architecture, both found passion in researching the South Asian engagements in Berkeley. The couple organizes the tour as a part-time gig to make the South Asian generations aware of their history and political activism. During the tour, they pass over old photos and newspaper clippings; narrate and reenact the historical incidents; show the eventful sites. All this to bring alive the past, something that has shaped their present. The lively walk-through helps realize how different things might have been in yesteryear. Today, the situation is hard to imagine, otherwise. With several Indian Americans emerging in the national political arena, the community has more voice. Indian Americans, for instance, Nikki Haley who became the first Indian American woman to hold a cabinet rank in the government; and Rep. Pramila Jayapal, first Indian American woman to make it to the House of Representatives, have seats on the table to make policy decisions. Decades ago, however, things were different. Amateur historians, Chatterjee and Ghosh enumerate incidents that hint at the harsh environs for the South Asians, in the second half of the 19th century . For Chatterjee and Ghosh, the triggering factor to participate and contribute in the national politics was the 9/11 backlash. The aftermath, which witnessed a change in attitude toward South Asians, arose the necessity of researching the community’s history and political activities. Moreover, their years of research on activism in Berkeley needed a trajectory. Soon they came across the idea of organizing three-hour walking tours to revive the eventful past. 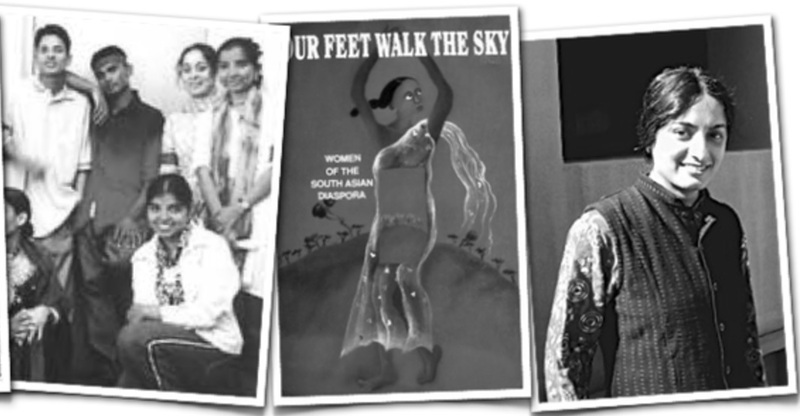 Since 2012, they have completed several runs, educating their tour goers, who are mostly South Asians. The tour costs $5 – $15 and the proceeds are donated to the Bay Area Solidarity Summer (BASS), a group dedicated to creating the next generation South Asian activists. The next tour is on May 7; To register, visit the website here.